Problem is likely with the code but the code is real simple and should work.. Anyone worked with these enough to know what might be happening? You are trying to power the Trex from the Arduino's 5V supply. There are 2 problems with this. 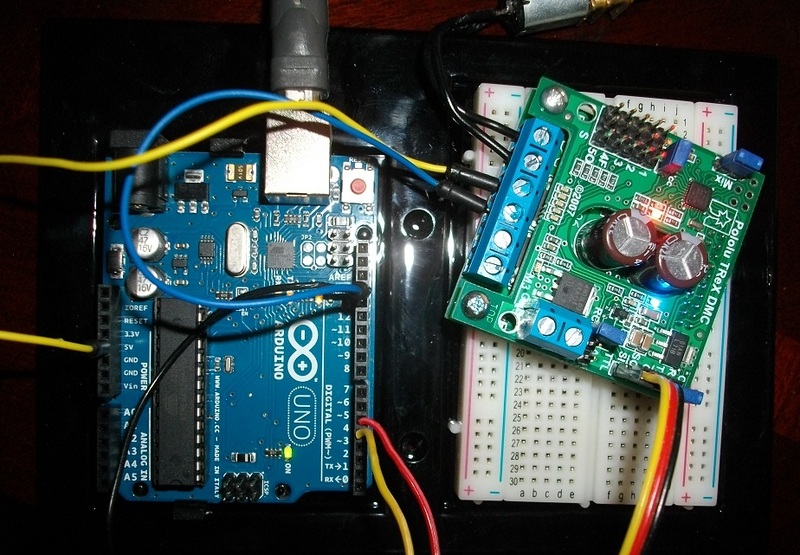 First, the Arduino +5V line can probably not provide enough current to start the motor. Second, the Trex is specified for a supply of 6V minimum.